Dear Parents/Guardians: Now that your children have settled in to the routine of the school year, we invite you to consider these steps to help them stay healthy, safe, and ready to learn! Join us at 6 pm for tonight’s (Sept. 26) presentation of “Screenagers” at HES! Consider Flu Shots for you and your family! Hatfield residents ages 18+ are invited to get their Flu Shot at the annual “Rite Aid Flu Clinic” sponsored by the Hatfield Board of Health and the Council on Aging on Oct 11 (see attached flyer for more info). The CDC recommends that people get a flu vaccine before the end of October. Talk with your kids about Opioid Use risks! Join us at Smith Academy on Oct. 18 from 6-8 pm to learn about “The Effects of Drug-Taking Behavior on the Brain” from Dr. Ruth Potee, an Addiction Medicine Specialist and expert on the teenage brain development. Sponsored by the Hatfield Police Department, this presentation will include a light catered dinner. Attached, please also find a recent Hampshire Gazette article focusing on one family’s tragic loss drives home the risks that high school athletes may face. Consider modeling and offering “5-2-1-0” choices at home! to limit drinks with added sugars and artificial sweeteners to “0”. Attached, please find the HPS Wellness Policy (ADF) and Goals (ADF-A) for your review. Here are articles to help jumpstart family conversations about the importance of sleep. While some of the suggestions may not fit with individual family needs, we parents can consider how to use some of these strategies and along with the https://www.waituntil8th.org/ program with our kids. Help prevent food-based allergic reactions! Several students in each are at risk for severe life-threatening allergic reactions when exposed to certain foods. Please be allergen-aware and check with your child’s teacher before sending in any foods to share, teach your child to avoid sharing potentially at-risk foods, and remind your child to wash their hands after (as well as before) any potential exposure. Consider sending non-food items or providing fun activities for classroom celebrations instead. If your student needs to take medications in school (including for inhalers &/or epi-pens, common over-the-counter and/or holistic medications, and insulin/quick-acting snacks), please have your physician fax updated orders to the school nurse and have a designated adult deliver the medication directly to the school nurse before the start of school. Students who self-carried and self-administered inhalers last year may bring in their inhaler provided that a new school order has been issued. Along with providing essential school supplies, encourage your student to get 8-10 hours of sleep each night to function at their best while in school. *(Eat 5 Veggies/Fruits; Limit recreational screen time to 2 hours; Engage in physical activity for at least 1 hour; Drink only beveridges with no-added sugar or chemicals each day). More information about this initiative for students and their families will be sent to you throughout the year. Have a healthy, safe school year. It’s important to help our kids take medication safely. Many people mistakenly feel that “Over-The-Counter” (OTC) medications are safe to use because a prescription is not required; or have similar misperceptions about holistic medications and teas; or think that increasing the dose amount will be more effective; and/or think that sharing their own prescription can help their friend with similar symptoms. In all of these situations, young people can end up needing emergency care for potentially life-threatening issues. Whenever you give your children medication, teach them about its purpose, the importance of taking the proper dose as prescribed by their physician, and never sharing any medication. When starting a new medication, it’s important to monitor for effectiveness. Sometimes, medications are not effective or can exacerbate certain conditions. Communicate any changes directly with your child’s physician. Store medicines in a locked cabinet. Count your pills and keep track of how many you take. Return leftover unused medicines to a drug collection box (available at the Hatfield Police Station and most other local police stations). Recent news reports indicate that shops legally selling small amounts of marijuana for adults over the age of 21 will begin opening in Massachusetts some time in 2018. Here is some information to consider when talking with your children about edible marijuana in particular. “Edibles” can have varying amounts of THC (tetrahydrocannabinol) and have a delayed euphoric effect. Because of this, users tend to eat more edibles, thus putting themselves at risk for serious consequences. Also, there is little difference between these products and the wrappers on popular snacks and candies. Products include candy bars, gummies, lollipops, and goldfish among others. Seek medical guidance if you notice the following: slurred or slowed speech, difficulty expressing oneself, decreased motivation, and red eyes. Also, note any significant changes in your child’s behavior that may indicate potential substance use: change in peers, declining grades, loss of interest in favorite activities, etc. Learn how to recognize and respond to potential life-threatening emergencies (loss of consciousness, not breathing, etc.). While the impact of legalized marijuana sales for adults has yet to be fully determined, we encourage you to visit the resources below for further information to help your adolescent prepare for adult decisions. Special thanks to the Easthampton Healthy Youth Coalition and Easthampton Public Schools District Nurse Kendra Kuhn for sharing these resources. Now that the holiday break and the potential for classroom parties are nearly here, we wish to remind you of the Wellness Policy guidelines* and ask for your support in promoting wellness, good nutrition, and regular physical activity as part of the total learning environment here at Hatfield Public Schools. Consider offering non-food items, low- or no-added sugar snacks. Also, allergen-free foods are the only shared foods allowed in certain classrooms for student safety (ie, no tree nuts or peanuts in the product or in processing). The American Heart Association gives us daily guidelines about added-sugar for most children (no more than 6 teaspoons). While it is challenging to try to meet these daily goals, we can all start by substituting one “non-processed” food for a “processed food” with added-sugar (choose a small apple instead of sugar-sweetened apple juice). Since the most common sources of added sugars in our diets are sugar-sweetened beverages (soda, fruit-flavored and sports/energy drinks, and sweetened teas), we can start by substituting water for sugar-sweetened beverages whenever possible. The American Heart Association states further that children should not drink more than one 8-ounce sugar-sweetened drink per week. If they drink the typical 12 ounce can of soda, our children exceed the weekly recommendation when they drink just one can. Finally, the hustle and bustle of the holidays can be a time of anxiety and depression for many of us and for our kids. We invite you to review and to choose at least one or two suggestions posted by the Cleveland Clinic and/or contact any local organizations such as Baystate Medical Center, Clinical & Support Options, Cooley Dickinson Hospital, Hampshire Hope, or religious clergy for support as you navigate this time of year. Have a happy, healthy, and safe holiday break. A recent review of health records required for school has shown that several grade 7 and grade 10 students lack updated information required by the MA Department of Public Health. Specifically, students in these grades need to provide documentation from their physician indicating a current physical exam (from Sept. 1, 2016 to present) and updated immunization information (see link for requirements). If your child has had a recent physical exam, would you please send it to us or ask your MD to fax us a copy at (413) 247-0201 attention: Martha Elliott, Smith Academy Nurse. If your child has an appointment for a physical exam scheduled, would you please call Ms. Elliott at 247-5641. Also, in the event of a difficult to manage health situation here at school, we are asking parents/guardians of all students to complete an optional release form allowing the school nurse to contact your child’s physician in order to facilitate care. This will be helpful in circumstances where parents / guardians cannot be reached and will be renewed annually in the future. A copy of our release form is attached for your consideration. This week is National Mental Illness Awareness Week: dedicated to educating the public and reducing the stigma often associated with mental illness. Also, Fri, Oct 5 is National Depression Screening Day. Please remind your student athletes to renew their ImPACT test every two years per school policy. If your children do not feel well in school, please remind them to ask for a pass to see the School Nurse (instead of contacting you). Parents will be immediately contacted when children present with a fever, vomiting, or diarrhea along with more significant signs and symptoms. Children with less significant symptoms will first be offered and often respond to treatments (based on the annually signed Emergency Contact / Med form) in the Health Office. Cell phone and other device use is not permitted in the Health Office. Also, remind your students to avoid eating on the school bus (choking hazard). Additional information is available in the Smith Academy Student Handbook (pages 46-47). Please reach out to the School Nurse with any updates, changes, or questions about your child’s health. We are here to help you help your child with any assistance that may be necessary, including assessing for any potential medication side effects. If your child has been injured, please provide a copy of the physician discharge/treatment instructions so we can work with the team of teachers and staff to help assure a successful, healthy school year. 3. Make arrangements for your SA student to self-carry and self-administer his/her inhaler and/or epinephrine auto injector. 4. Before summer break, pick up student medications currently stored in School Health Offices. All unused medications (including rescue meds such as inhalers, epinephrine auto injectors, and diastat) need to be picked up by a parent/guardian or designated adult before the end of school. SA students who have prior parental permission may pick up their rescue medications after their final exam. 5. Complete the forms for participation in student athletics at FamilyID.com. Also, all prospective student athletes must take the ImPACT neurocognitive baseline assessment at school before they may participate in a school sport and every two years thereafter. Dates for these assessments will be announced shortly. See the Athletics Concussion Policy (JJIF) and Athletics Concussion Procedures (JJIF-R) at the HPS Website “Administration/School Policies/Students” (section J). Athletic Director David Keir will send more information about registration for school sports at a later date. 6. Finally, please find a link with suggested healthy vacation tips from the US FDA (Food & Drug Administration). Have a healthy, restful summer! “Eat right, Get Plenty of Rest, and Exercise” is timeless advice. Teens can use the current Myplate guidelines to choose balanced diets with more vegetables and fruits, along with grains, proteins, and some dairy products. They can also be reminded to eat sweet and savory snacks only in moderation. Approximately 9 hours of sleep are needed each night for growing and developing teens to feel and function at their best. Turning off screens at least 30 minutes prior to going to bed and avoiding caffeine and nicotine products also help promote a more restful sleep. 1 hour of daily physical activity that includes endurance, strength, and flexibility components is important for a lifetime of health. Help your teen explore a variety of activities: roller skating, dancing, and indoor rock climbing can be fun ways to promote physical fitness. “Avoid germs and other toxins”. Hand washing (and drying) is the best way to prevent the spread of germs. Avoid sharing hair products, hats, and foods (for those who are allergic to certain foods), Teens with signs of contagious illness and/or fever, need to stay home and be treated at home. Teach your teens how to recognize and respond to poison ivy, insect bites, and small wounds. Remind them that people who take scheduled medications should never share their medications with others. Model and discuss proper use, dosage, and frequency when giving your teen common over-the-counter medications, holistic products, and/or vitamins: all of which can be toxic if misused. Continue to have conversations about the risks of using alcohol, tobacco, and other drugs; especially on the developing teen brain. “Teach basic self-care” for mild symptoms. Mini-meditation breaks, relaxation breaths, using the bathroom, and / or drinking water can help alleviate many symptoms. Share your experiences of occasionally not feeling 100% but being well enough to go to work as a guide to help them participate in school. The distraction of a work project as well as a school project can sometimes be helpful. Ask your teens: what self-care strategies have been effective for them and what do they notice when they feel better. Ask further, what strategies help them manage stress. “Teach self-advocacy”. If symptoms persist or worsen after attempting appropriate steps in #3, your teen needs to report their symptoms. (As a reminder, please do not mask signs such as a fever or diarrhea by medicating your teen and sending him/her to school). When in school, they need to request a pass to be seen by the School Nurse in the Health Clinic. Following a brief assessment, we can determine if your teen would benefit from a period of rest, treatment, and/or dismissal home. When at home, help your teen to track how they’re feeling (what makes it better, what makes it worse, how severe is the discomfort, what times of day does this happen, etc). If they don’t improve or if symptoms worsen, contact your child’s MD for a more detailed evaluation. Review with your teen what to expect and what to say during the appointment. Remind them that they are helping the health care practitioners do their jobs by noting and reporting any new or different symptoms. “Spend some extra time with friends and family”. We parents can model how to engage with others by frequently sharing family meals together without the distraction of screens or phones. Elicit input from your teens regarding types of activities they like to do with their friends. Meet your teens’ friends (and their families if possible) for shared activities. Finally, regular physical and dental exams can help teens practice engaging with health care practitioners and build confidence as they become adults. As your school nurses, we are honored to continue working with you and your families to help your children stay healthy and safe. HPS School Nurse Jean Hobbie at (413) 247-5010. There has been a recent increase in students out with flu-like symptoms, actual diagnosed influenza, and strep throat. Please be aware of these increased illnesses and seek medical guidance as appropriate. Remember to encourage handwashing and to disinfect shared items. The official arrival of Spring has reminded all of us of that old New England saying: “if you don’t like the weather, just wait a minute”. During these topsy turvy days, we ask that you remind your children to prepare for both warmer and colder weather by dressing with layers and appropriate footwear for outside activities. Families are invited to learn the myths and facts about spring allergies with this Allergy/Asthma Network link (http://www.allergyasthmanetwork.org/myths-about-spring-allergies/). For those of you planning spring vacation trips to warmer areas, remember to check the cdc website for up-to-date travel safety information (e.g. the zika virus): https://wwwnc.cdc.gov/travel/notices. Apr 6: Parenting in the Age of Legal Marijuana at Franklin Tech. Apr 15: Run KidsMA. A Day to Run, A Day for Fun. Mahar Regional School. Apr 15: Adapt with Pride: Fun, interactive activities for children and adults with disabilities. 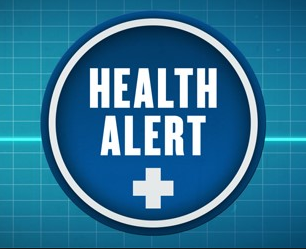 Please also note that there has been a significant uptick in sudden flu-like illnesses noted and reported here at school and at area pediatrician’s offices. If your child is ill, please keep them home until they are fever-free without the aid of medication for at least 24 hours. If instead, your child is diagnosed with strep throat, please assure that antibiotics are given as prescribed and keep your child home for at least 24 hours after the 1st dose if given and let the Nurse know about the diagnosis. If someone in your household is ill, disinfect all shared areas as appropriate. As always, please promote scrupulous handwashing both at home and here at school. The US CDC & Dept. of Health & Human Services have announced a company recall of "I.M. Healthy" soy nut butter products linked to cases of e coli. Please read the attached and follow all instructions if you use these products in your home. If unable to open this link, search "cdc.gov ecoli 2017". Also, families who use the Mylan "Epi-Pen" product may be aware of a recent recall of this product in Australia. While there are no recalls of this product here in the U.S., we invite all families who use prescription medications to monitor the US Food and Drug Administration (FDA) website for any alerts or recalls for particular medication lots. Links for both the Australian news story and the FDA website are posted below as an fyi. I want to let everyone know that we, as well as other area schools, are experiencing an uptick in the number of students who are ill. In order to minimize the spread of illness in our community please encourage frequent hand washing and follow the guidelines below when deciding if it is appropriate for your child to return to school. Students with a fever will need to stay home until at least 24 hours fever-free without the aid of medication. Students who vomit will need to stay home at least 24 hours. Students being treated for strep throat (and many communicable diseases for which antibiotics are prescribed, please check with your PCP or the Health office if unsure) must remain out of school for 24-48 hours after receiving the first dose of medication. Parents are also urged to consider annual flu vaccinations for their children. 1. It's not too late to get a flu shot. Many pharmacies and clinics now offer these vaccines in addition to your primary physician. 2. Remind your family to scrupulously wash their hands, disinfect shared items/surfaces, and replace toothbrushes more frequently. 3. Keep your children home if they develop flu-like symptoms. The CDC symptom check-list is in the link below.